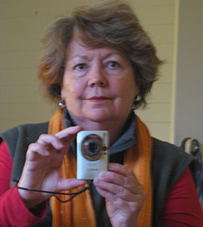 Jane O'Sullivan's research is informed by the concerns and approaches of Critical Animal Studies, Film Studies and Gender Studies. She has a particular interest in writing creative nonfiction, with an emphasis on the processes of moving between visual and written forms. Her research and teaching in areas related to the field of Critical Animal Studies focus on representations of animals in film and television and their presence in zoos and popular culture more widely. In addition, she has a particular interest in gendered power relations and their representation in film, theatre, and prose, with particular attention to female embodiment, gender equity in contemporary workplaces, and masculinities in Australian film. She is a member of the School of Arts Post-Human Literary and Cultural Studies research group. O'Sullivan, Jane (2014) "Mixed Media: Moving between painting and writing" in Creative Manoeuvres: Making, Saying, Being – Refereed proceedings of the Australian Association of Writing Programs 18th Annual Conference (25-27 November 2013) – an article on the pedagogical possibilities of using painting as a way into writing about the cultural experiences of horses. O'Sullivan, Jane (2013) "Zoo-illogical Exhibition" in Animal Studies Journal, 2(2), 2013, 91-98 – a creative nonfiction article combining photographs and written commentaries concerned with the circumstances of selected animals in zoos. ISSN 1756-9575 – a painting, and a discussion of the process of moving between painting and writing about representations of pigs, especially in films. Sheridan, A. & O'Sullivan, J. (2013) "'Fact' and 'fiction': enlivening health care education Journal of Health Organization and Management, 27(5) 2013, pp. 561-576 (50-50%) - A close analysis of two cultural narratives (a British TV drama series and an Australian government document.